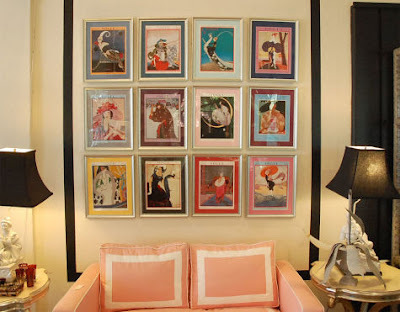 I spent forty five minutes on Saturday choosing frames for an array of photos and artwork for a client! I love planning my client's designs down to the last detail! 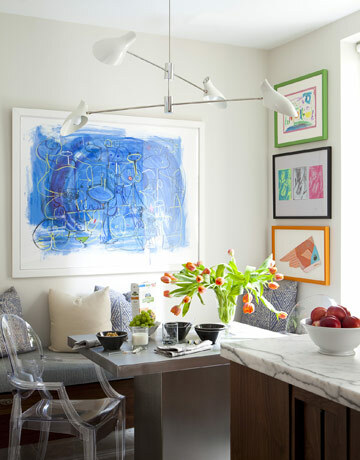 Mixing mat colors is a fun way to enliven an art wall. 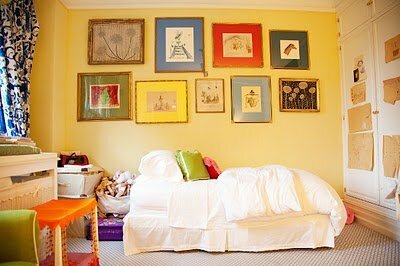 It works well with vintage and children's art because the end result is light-hearted!! 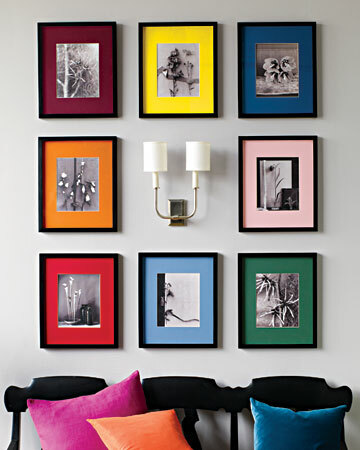 Another option is to keep the mat color consistent but mix the frame choices and colors! Just stunning. Definitely gets me in the mood for Spring! I especially like that last photograph... that blue art is amazing! i love the bright colors. bring it on!